Take a quick glance at the photograph below. In Roman Catholic religious teaching, this has been called an “examination of conscience” (consciousness, actually) as part of the sacrament of Penance (now progressively called Reconciliation). 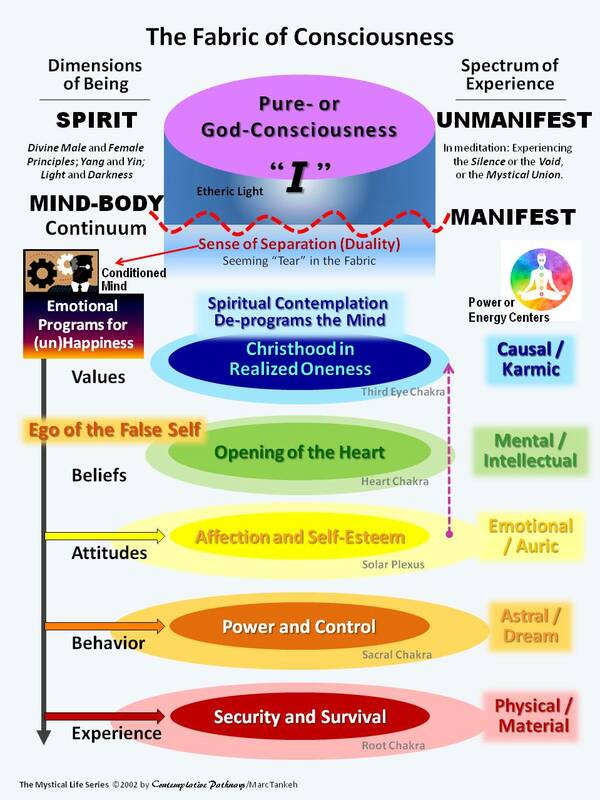 The process forces us to inquire into and ferret out the errors or mistakes in our thinking processes (our so-called sins against God) we have made and entertain in the mind, that support and reinforce the belief (sense) that we are separate and apart from God. dogmas or doctrines, and cultural trimmings in the form of rites, rituals and traditions. This entry was posted in Consciousness & Spirituality, Mind, Mysticism, Oneness, The Mystical Life, Transformation and tagged awakening, awareness, belief, consciousness, God, human condition, illumination, illusion, life, mysticism, Oneness, perception, reality, soul, spiritual practice, spirituality, The Infinite Way, transformation, Truth, world. Bookmark the permalink. Thank you for posting your comments here. Regretfully, we have no control over the advertisements being placed by WordPress at the site. Our site is gratuitously provided by WordPress, and part of their terms and conditions for the use of free space on their Web server is the placement of advertisements. We can object to the ad content for morally objectionable reasons, like what we did so years ago. But that is as far as control over the ads is concerned. If you are willing to subsidize the annual fee cost for privatizing the website (approximately $100 on an annual basis), we would very gladly accept your gift. That will make the website ad-free completely. Moreover, that will enable us to customize and improve the site in many ways that are dreamt of only at the present time, including the integration of social networks. Your gift and support will certainly go a long, long way in extending the outreach of our spiritual ministry in cyberspace and in the world. Please let us know if you will so graciously promote our services (https://contemplatingtruth.wordpress.com/about/services) to a higher level. And, in that eventuality, thank you very much for supporting our mission (https://contemplatingtruth.wordpress.com/about) beyond its present reach.